A miniature bottling of Amrut’s signature entry level single malt. This whisky is made in India using Indian malt barley. Aged in the tropical heat, it quickly gains a rich, fruity and oaky flavour. Drinkers can expect notes of toffee, spice, vanilla, chocolate, dried fruit, warm malt and lemon rind. 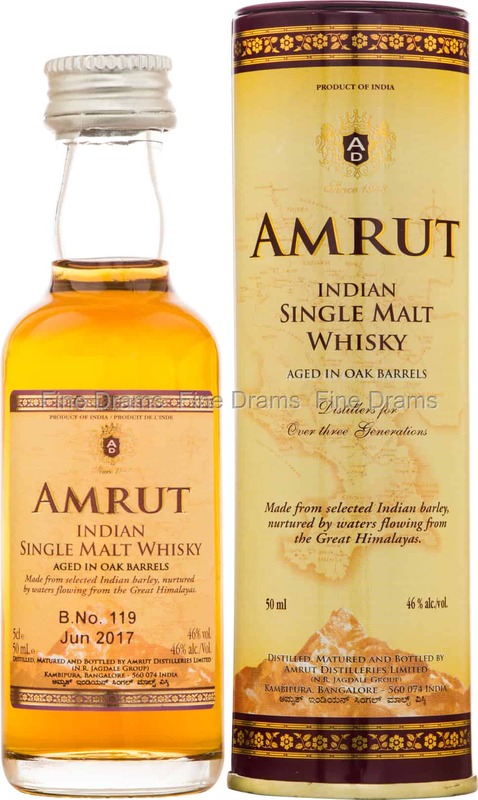 Bottled at a toasty 46% ABV, this is a great introduction to the Amrut range. This little miniature offers a great chance to taste the whisky without committing to a full bottle.